Outsourcing may be referred to as the use of outside resources to perform certain operational and non-core duties in order to carry out business processes which an organization may not be able to handle internally. 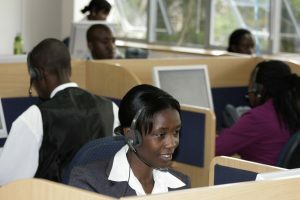 A good number of companies on the large scale have embraced staff outsourcing as a major employment function, in order to achieve several other goals. According to smallbusiness.co.uk however, more than 82% of small and medium-sized enterprises view freelancing as important to the growth of their business. Although outsourcing has been around and functioning a lot longer than one may think, some organizations are yet to fully understand the value this particular business function possesses, while others are oblivious of these values entirely. Naturally, outsourcing your staff services will cost money, but the cost will be significantly less than it would originally, if one had to put hiring and training new employees into consideration. All of the extra costs of advertising, recruiting, interviewing, background checking, and skills testing will be rolled into a single easy-to-manage fee. In addition, outsourcing your hiring to experts can also reduce your costs of training as the candidates they find will have the skills and experience needed to get the job done right from the very start. Since recruiters consider factors and qualities that ensure long-term hires, you’ll also reduce your costs of turnover. Finally, because the staffing firm will take care of compliance, payroll, and HR for its workers, you will also save on administrative and overhead costs. Leaving positions open for too long as a result of difficult recruitment processes or hard-to-find candidates, can hurt your business outcome. The reduced productivity can not only lead to lost opportunities but it can also reduce your current workforce’s morale and efficiency. When your employees have to take on a bigger workload and work longer hours while you continue to search for new hires, they can become irritable, stressed, and unhappy. Their own productivity will suffer. And they might even think about leaving your company. These challenges are almost totally non-existent when you outsource staffing services. You will get faster hiring because outsourcing companies make sure to have a wide candidate pool and top talents to call on. They will start working immediately to find you new employees. They will be fully dedicated to the hiring process without delay and without procrastination, so you can fill those positions more quickly. There are a great many back-office marketing functions that should be outsourced in order to allow focus on other major tasks. In rapid growth periods, the back-office operations of a company will expand also, which may start to consume resources (human and financial) at the expense of the core activities that have made your company successful. Outsourcing those activities will allow refocusing on those business activities that are important without sacrificing quality or service in the back-office. The most important reason to partner with a staffing company is to get access to better talent. Recruiters have the means and resources required to locate top performers who can help you on your road to success and the skills required to choose the right candidates not only for the open positions you have but also for your company as a whole. When you outsource staffing services, you get to benefit from the hiring expertise and experience of recruiters. Outsourcing will allow operations that have seasonal or cyclical demands to bring in additional resources when you need them and release them when you’re done. 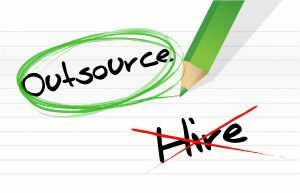 With outsourcing, there is less need to hire and train specialized staff. Organizations simply pay for services they need, only when they need them. Large projects that require specialized skills that your staff do not possess may need to be undertaken. On-site outsourcing of the project will bring people with the skills you need in your company. Partnering your people to work alongside ​them will help internal staff to acquire the new skill set.